Glamelias are floral arrangements that are made to look like a single flower. Popular in the 1950s, they are making a comeback with vintage and modern brides alike. 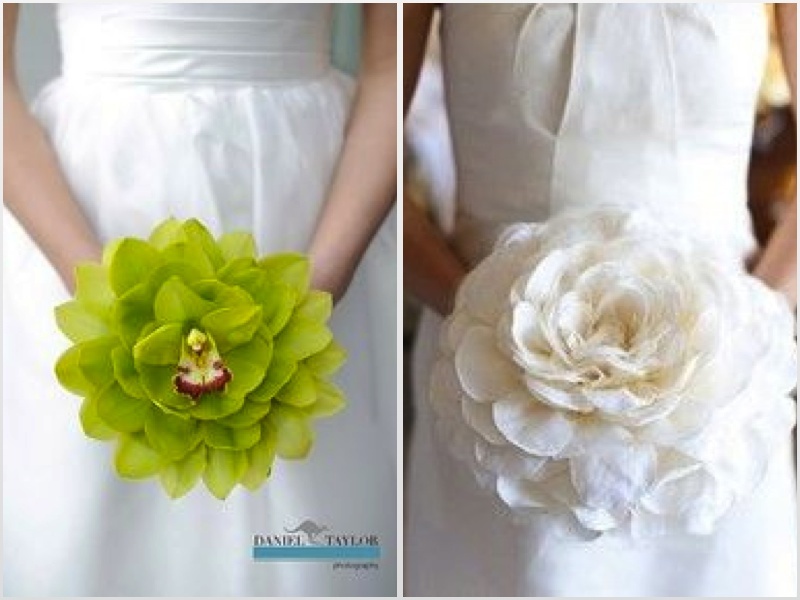 Sometimes called composite flowers, these bouquets are made from real and silk flowers. Either way, they take hours to assemble the individual petals, but the result is worth it. You can find these flowers either by contacting your florist or searching "glamelia" or "composite" flowers. Photo on the right courtesy of Petals and Print.